Last year’s favorite smartphone just got more incredible. The Asus ZenFone 2.0 Laser 5.0 smart phone is now hitting the market by storm. Smarter than the average smartphone on its budget range, you would think that it deserve to be on top of the expensive range of smartphones. Last month I was ask to check out the new Asus ZenFone 2.0 Laser 5.0 smart phone, and give an honest review about it for a traveler’s point of view. The new Zenfone 2 Laser a unique curve edge elegant design with fiber hairline style in its scratch-free rear cover that offers a non-slip surface that fits perfectly in the palm of your hands – it brings both style and ergonomic design into one. One other notable engineering design is that the volume key is located below the camera lens at the rear instead of the usual side keys. This makes it easy to adjust the volume while listening to music while manipulating the apps on the phone. The phone has an Corning Gorilla Glass 4 which not only delivers vibrant colors, brightness level but also gives the user a worry-free drop damage resistant, and scratch-free glass surface. Just like the iPhone, you can do away with screen protectors with this one. It is my first ever 5” screen phone, and it was a shock at first, mind you. Being used to a sweet size of 4″, an inch difference was a huge difference. But it was a good break on my reading, and note writing. Since I do use my phone for notes, and blog writing when on the road, the large screen does work better than the screen size I’m used to. The auto-brightness also helps adjust the glare, and the brightness on the screen — just perfect for reading! The screen sensitivity I might say is also a brilliant innovation. Not only did it help on the response time but also when you’re wearing gloves, or even when you have damp fingers while using the phone. With an 8-megapixel rear camera guided with a laser auto-focus – yes, with laser auto-focus. It is perfect for macro-shot and helps in defining edges on objects giving you depth, and sharp details of the shot. It also has a dual-LED real tone flash that decreases if not eliminates red eyes on photos and balances out white, and yellow-tones. 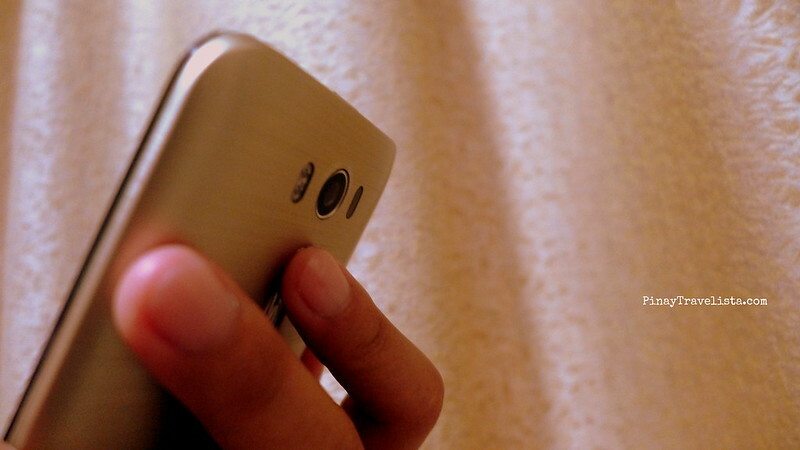 Along with that one is a 5-megapixel front camera that is easy for group, or selfie shots. And I must admit that lately I’ve been doing group shots lately with this baby. 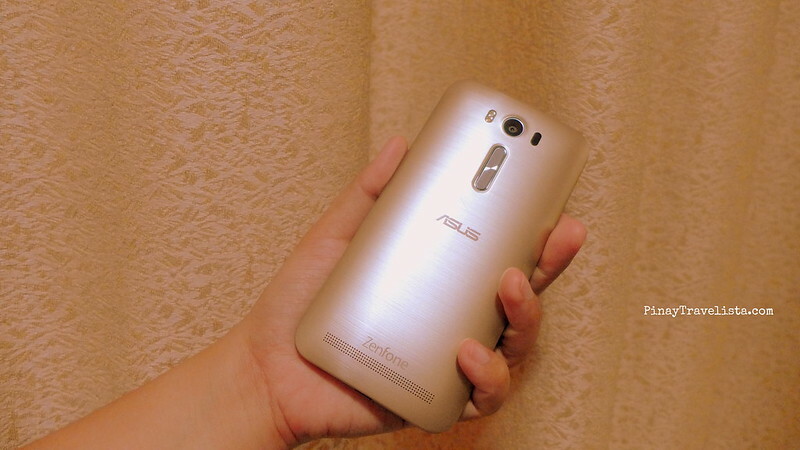 Asus ZenFone 2.0 Laser 5.0 uses the lastest Andoid versions, the Android Lollipop 5.0.2. It has easy navigation menu, a quick response time, and user friendly interface. 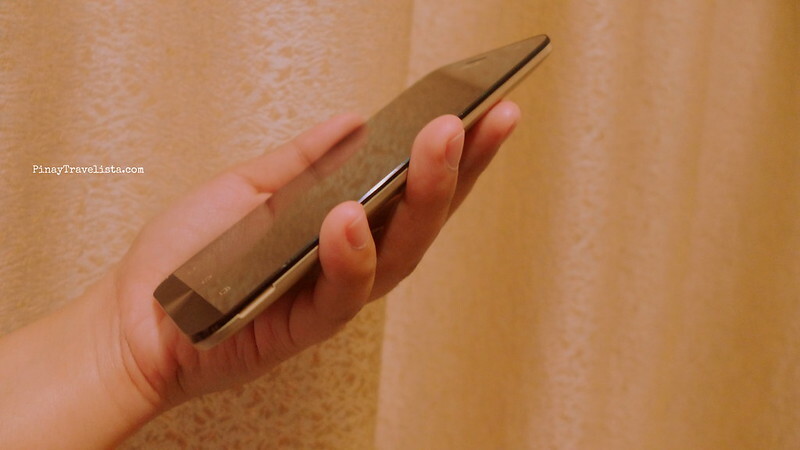 It is already on LTE, which is very handy for travelers who rely on cellular network when on the road. And because it is already on LTE, I can confidently share my internet connection via tethering on the phone. I do not listen music on my mobile phone because I have usually (but not weirdly) small ears that it hurts wearing earphones. But I do listen to read-out books, and its audio quality works well for me when I’m listening to audiobooks! The audio speaker on the rear amplifies the sound, and I really do not have to bother with the earphone anyways. The battery life hits my sweet spot. I always go for longer battery life on smartphones! For someone who once owned a 4000+ mAh phone massive, and heavy smartphone, 2,070 mAh lightweight, and slim smartphone was a great alternative. Smartphones can be a huge budget saver when traveling. I always tell friends that you do not have to buy expensive cameras if they do not have the intention to going professional. Like someone I know used to say, “The best camera is the one that you’re holding at the time you need to take a photo”. The camera, and user experience are usually the features I look for when I’m looking for a smartphone for purchase. Overall, I would recommend the Asus ZenFone 2.0 Laser 5.0 to those who are looking for a new and inexpensive smart phone. I’m not big on design, and style but more of what I can get out of the phone. 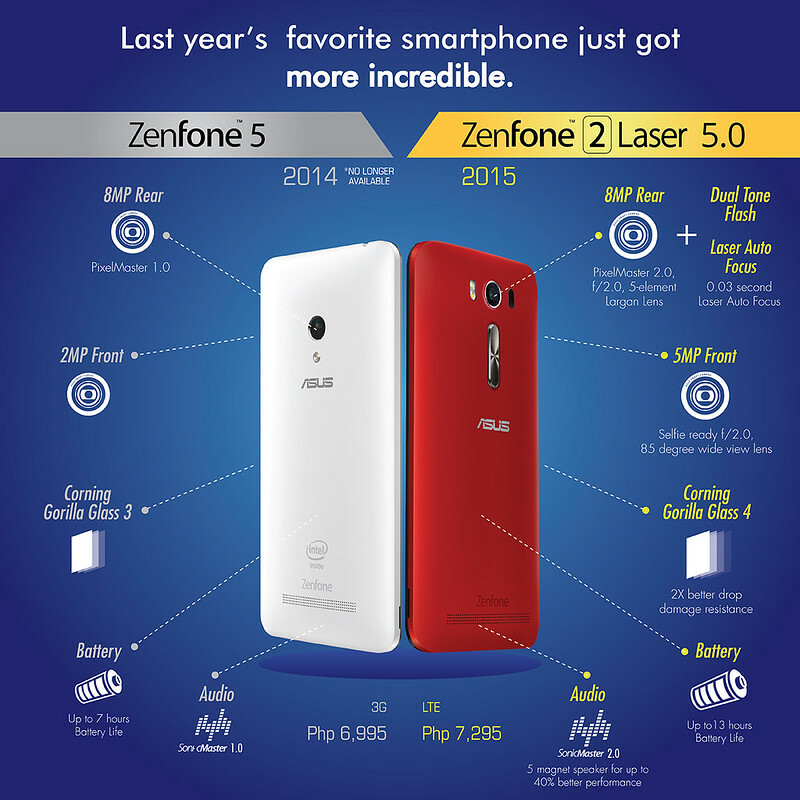 Asus ZenFone 2.0 Laser 5.0 smart phone is getting more for less — definitely, great value for money.